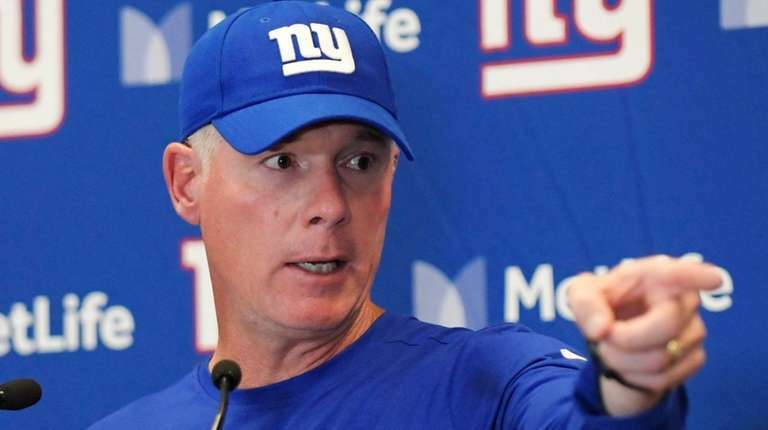 Pat Shurmur’s record as the Giants’ coach is 1-6, which is all the confirmation that matters that he has done a bad job and has a bad team. Some truths are self-evident. But the circumstances of Monday night’s latest flop, a 23-20 loss to the Falcons, illustrated that reality beyond mere wins and losses. Shurmur made some bold, debatable decisions that for a better team on a better night might have been celebrated, but for this team on this night represented one failure after another. By the end of his postgame news conference, it was impossible not to feel a little bit bad for the guy. As reporters methodically asked about one unsuccessful play after another, he finally said, “Anybody want to ask me about a good one?” There was silence. The decision that got the most attention was attempting a two-point conversion when trailing 20-12 with 4:47 remaining. At first glance, it was a shock and seemed reckless. But analytics nerds insist the strategy makes sense. Long story short: The advantage of being down six points rather than seven is greater than the disadvantage of being down eight rather than seven. Far less defensible was what happened with the Giants trailing 23-12 with a first-and-goal at the 1-yard line, no timeouts and the clock ticking under a minute. Twice in a row, Shurmur had Manning charge into the line for no gain as the clock bled away. When Manning finally threw to Beckham for a touchdown, only five seconds remained, so even a recovered onside kick would have done little good. There was more where that came from. Early in the third quarter, Saquon Barkley was stopped on a strange play on third-and-goal from the 1-yard line on which he came across the formation to take a handoff. On the next play, Shurmur went for it on fourth down. Manning rolled right, failed to see Beckham briefly open, then threw incomplete into a thicket of players that included third-string tight end Scott Simonson. What about that play on which Manning scrambled 7 yards but was knocked out of bounds just short of the pylon, preceding the two aforementioned stops on third and fourth down? It’s what bad teams do.